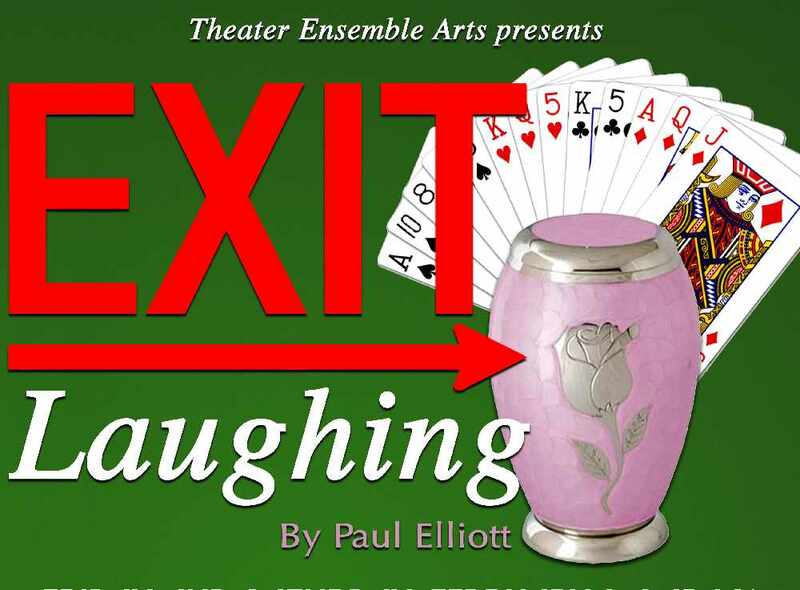 Theater Ensemble Arts opens its 22nd season with the hilarious comedy Exit Laughing by Paul Elliott. When the highlight of your life for the past 30 years has been a weekly bridge night out with the girls, what do you do when one of your foursome inconveniently dies? You “borrow” the ashes from the funeral home for one last card game and the wildest, most exciting night of your life. The event runs from 7:30pm to 9:15pm on the following dates.